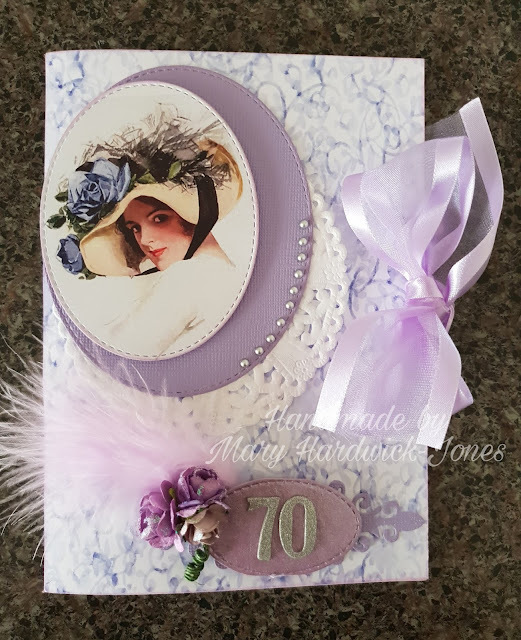 Using the new papers and imagery from Meg's latest collection of Vintage Journal Cards is a pleasure, especially when you have a special someone with a milestone birthday in mind. I have used a beautiful blue wisteria paper from a previous collection as my background, drawing colours from the VJC as inspiration for the style of this card. 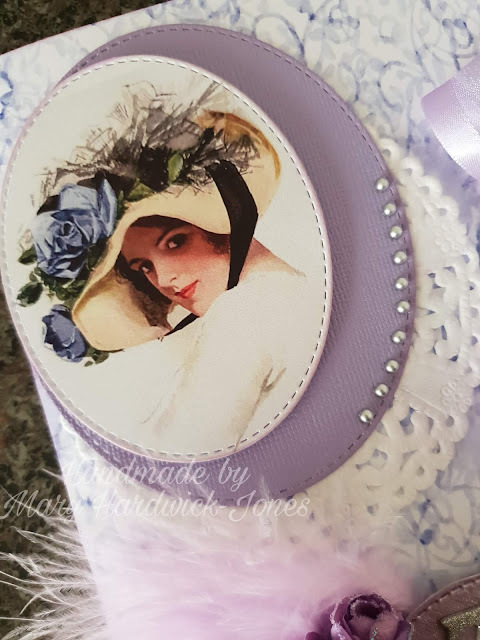 A die cut out of the demure lady sits atop in the corner, grabbing the recipients attention, teamed with shades of purple as my coordinating colours. And, as always, my go to decoration - bling! Included in the many layers are delicate paper doilies, which suit any colour and theme. They are easy to recolour, or look stunning left as is. As added embellishment to the shimmering 70 sentiment, sits a bunch of small paper flowers from Meg's Garden shop. For texture and something really special, I have feathers coming out from the flowers. 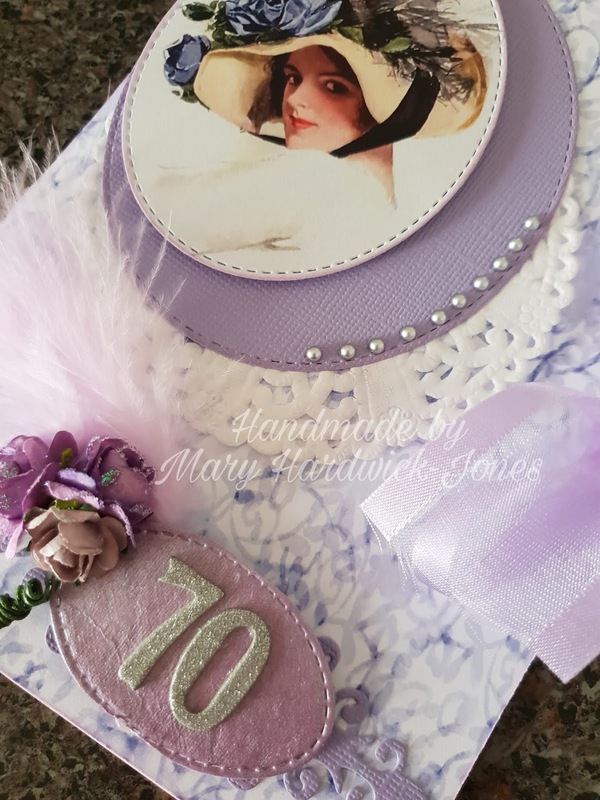 With wispy lavender ribbon as the closure to the card, it becomes another embellishment when done up in a beautiful bow, and the final element to my whimsical card for someone special. If you enjoy working with particular colours, or simply your own favourite colour, you will find creating in tonal shades a wonderful experience with Meg's collections. What a gorgeous card Mary,very elegant! When you're searching for a pen and paper..